A forest was chopped down to make way for a reservoir. In times of drought remnants of the lost forest emerge. Tigers still roam there in the Nagarahole National Park. I’ve seen them. 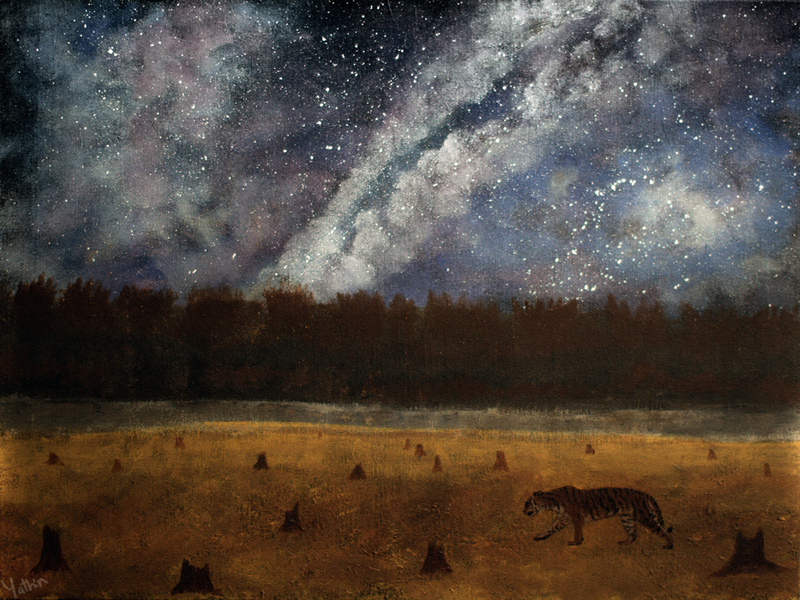 I wonder what it feels like to be a tiger strolling under the starry sky over the banks of the Kabini.